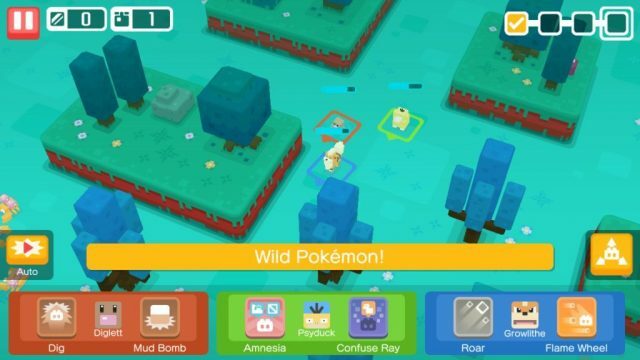 Pokemon Quest lets you explore a mysterious “Tumblecube Island” in search for loot and treasures. To begin your adventure, you will have to befriend a pocket monster and explore several areas on the island. While exploring, you will come across wild Pokemon and boss monsters. You must fight them to collect loot. Gameplay is fairly easy as your characters will automatically attack enemies. You will have some control on them but that’s limited to using their special skills from time to time to deal more damage to enemies. However, you can go full auto mode if you want AI to control everything, including unleashing special skills. 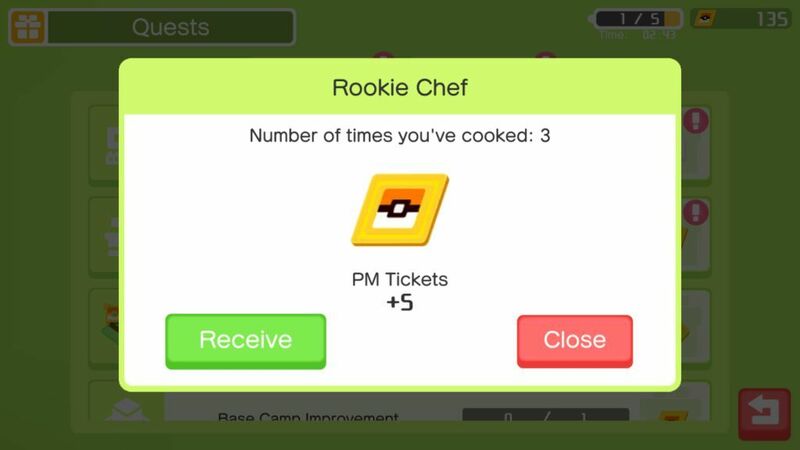 In Pokemon Quest, you will have to gather ingredients to cook food in a pot. The food can then be used to attract monsters. You will also need stones to make your monster squad more powerful so that they battle and defeat stronger creatures on the island. These tips and hints will help you get ingredients, powers stones and PM tickets, but before reading, make sure you check out our tutorial video in this article if you have just started playing. You will get to know the basics, which will then help you understand what ingredients, stones and PM tickets are. You can collect several adorable cube-shaped pocket monsters in Nintendo’s exciting new blocky adventure game. You just have to cook delicious meals to attract them. To cook food, drop ingredients into a cooking pot. When the food is ready, a monster will run towards the pot. You can then befriend him and may recruit him to your battle squad. The type of monster you will be drawing towards the pot depends on the food color/type cooked in a pot. For example: The Yellow Curry a la Cube is the favorite food of yellowish Pokemon whereas Mouth Watering Dip a la Cube will attract water-type Pokemon. Preparing food to attract your favorite monster is not as easy as you think. Recipes on the top of the ingredient list just give us a hint as to what ingredients should be used and how much is required to prepare the right food for the right Pokemon type. So if the Mud Pie recipe, which attracts ground-type Pokemon, says that you will need a few minerals and a lot of soft things, you will have to drop “minerals” such as icy rock or fossil and “soft ingredients” such as Tiny Mushroom, Honey, Bluk Berry, Balm Mushroom or Big Root. You will get the desired monster after some trial and error, so don’t be disappointed if you don’t get the one that’s been mentioned in the recipe. Words like “a few” or “a lot of” also has a big role to play in getting the right food for attracting Pokemon. These suggest how many ingredients of the same type should be dropped into the pot. So if the recipe says “a few minerals” then you might consider dragging and dropping 2 minerals onto two slots of a pot and when it says “a lot of soft things” it hints at dropping soft ingredients into three slots. Make the most out of these hints to experiment cooking, which will help you get the right monster for your team. You will also get ingredients by finishing challenges. Tap the “Quests” icon (gift box) and then tap the “Challenge” tab to get a list of challenges. Complete them to get ingredients. Power stones are used to improve a Pokémon’s ATK, HP and other stats. It makes him stronger and also boosts team strength if you have recruited him in your team. Red stones are used to increase offensive stats, such as ATK and blue ones are used to boost HP. However, certain rare red and blue stones also boost other stats, such as critical hit rate, movement speed, critical hit damage etc. Just tap a power stone to check whether it bestows additional stats boost or not. You can get such rare stones as “expedition bonuses”, when the bonus bar is full. Keep winning new stages to fill the expedition bonus bar and get a rare stone on a stage soon after the bar is full. 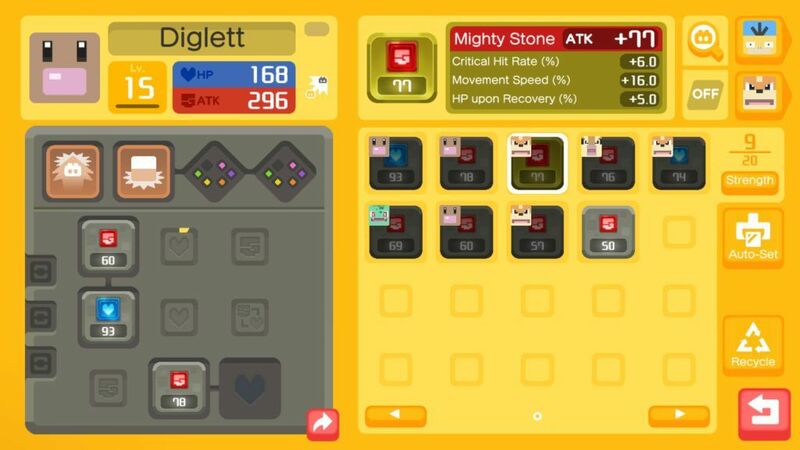 Before using a power stone, make sure it fits into the empty slot of a monster’s power charm. You will have to drag and drop a stone onto an unlocked slot to improve stats. To do this, tap a portrait of a Pokemon on the bottom of the screen to access his power charms grid. Now place your finger on a power stone and drag towards the empty socket. The border of a socket glows when you drag the stone towards the charm grid, indicating that it will fit only on that slot. To unlock a slot on a charm, you will have to level-up Pokemon. You can gain XP by training a monster or from exploring worlds. Beat stages in a world to gain XP. When a team member levels up, his power charm slot’s border fills a bit. You can unlock it when slot’s border fills up completely. Many times you will have to reach several levels to unlock a slot. You can get power stones from your expeditions. Keep exploring different worlds and beat enemies in every stage to get them. There is a very high chance of getting a power stone from a defeated boss monster. However, you might get stones from wild Pokemon, although the drop chance is very less. Bosses appear at the end, after defeating enemy waves. You will have to defeat a boss monster to get a random power stone. PM tickets are your premium currency, but there are a few ways to get them for free. They are used to speed up cooking, salvage ingredients in the middle of a stage if all Pokemon have been defeated and purchase decorations at the “Poke Mart”. I would recommend using tickets only for purchasing decorations as they provide certain permanent bonuses when you place them on your base. For example: Placing the “Fearow Weathervane” decoration on your base will increase the EXP received from training Pokemon. This item costs 500 PM tickets. You will get 100 PM tickets soon after the tutorial ends. This is a gift from developers to commemorate the release of Pokemon Quest on Android. You will receive tickets at regular intervals. You will get them in every 22 hours. To claim PM tickets, go to Poke Mart > Member service. Tap the upper right blue button to access mart. Certain “Main” quests also give away tickets once you complete them. For example: You will earn 5 tickets after completing the “Level-Up Training” quest. Tap the quest icon to access them.